The latest version of Android is about to come as Google has announced latest update for Android operating system named Android O. The software is expected to release with a variety of new features. The developer tool is available for Google Pixel, Pixel XL, Pixel C, Nexus 6P, Nexus 5X and Nexus Player. 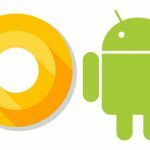 The previous version of Android named Android Nougat in August 2016 and Android O is also expected to release around similar time frame. The Android O would have user-customisable notification channels in which alerts will be grouped by type. The background colors of notifications and messaging styles would be adjustable. Android O will improve restricting certain app activities in the background by placing the priority on extending battery life without user-input. By opting this service, users will find it easier to fill in login and credit-card information forms with fewer mistakes and much less repetition. The picture in picture mode previously available on Android TV will now be coming to Android O and will be mostly used for video playback. There will be improved arrow and tab key navigation for use with physical keyboard. and so it won’t be restricted to phones only. Icons in Android O will support visual effects and can be displayed in various shapes on different devices. There will be improved Bluetooth support for high-quality audio through the Sony LDAC codec. Android O will be able to support multiple displays, allowing a user to move an activity to one screen to the next. Every app will have a storage space allocation for cached data, and when the system needs to free up disk space it will delete data from apps using more than their allocated slice first. Google says it has made the profile owner and device owner management modes more powerful, productive and easier to provision than ever. Dealing with addresses would be much easier. If you click on an address in a text message, Android O could open that address in Google Maps. Its been a tradition of Google to always name its Android OS after sweet treats and in alphabetical order. So far we are having Cupcake, Donut, Eclair, Froyo, Gingerbread, Honeycomb, Ice Cream Sandwich, Jelly Bean, KitKat, Lollipop, Marshmallow and Nougat. And now we need to see what Google decides for Android O!